I strive to personally provide each customer with the highest quality cake possible - fresh ingredients and devotion to design. All cakes are individually priced according to size, flavor and decor. I work as hard as possible to create a masterpiece for your event that is as unique as you are ! ! ! My cakes are priced per slice - starting at $2.50 per serving. Fondant and certain flavors/fillings may incur an extra charge. Cake Pops & Cupcakes: Base price is $28.00 per dozen. Additional flavors and decor may incur an extra charge. 3" two tier smash cakes with plain icing - any flavor (no décor) are $10.00. Larger size smash cakes, "giant cupcake" smash cakes and more intricate designs are extra charge. Do the math here . . .
For example: If you are wanting to serve 120 wedding guests you would multiply 120 x $2.50 = $300. Your total would be $300 base price (depending on flavoring and detail in decor). For a smaller special occasion cake: 15 x $2.50 = $38. Your total would be $38 base price (depending on flavoring and detail in decor). 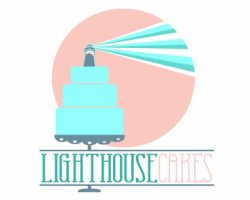 "Order a Cake" or "Wedding Cake Order" form !